Welcome to the beginning of Lyme disease education! We will do our best to help get through the mystery and convoluted arguments surrounding Lyme Disease and who it affects. One of our favorite sources for good information is The International Lyme and Associated Diseases Society (ILADS). More information can be found at their website: www.ilads.org. For beginning we have copied down from ILADS their basic information about Lyme and will make comments on each piece. While ILADS is terrific for information they are a mainly medical organization and thus once they start going through treatments they will recommend long-term, heavy dose antibiotics. In future hand-outs we will explain how and why we vary in some of these approaches in how we help patients recover. Figure 1: Figure from the CDC: Minnesota and Wisconsin are the 2nd most common place (outside the North East) for Lyme disease in the US. 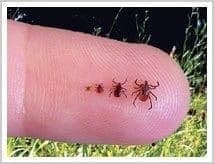 1.Lyme disease is transmitted by the bite of a tick, and the disease is prevalent across the United States and throughout the world. Ticks know no borders and respect no boundaries. A patient’s county of residence does not accurately reflect his or her Lyme disease risk because people travel, pets travel, and ticks travel. This creates a dynamic situation with many opportunities for exposure to Lyme disease for each individual. 2. Lyme disease is a clinical diagnosis. The disease is caused by a spiral-shaped bacteria (spirochete) called Borrelia Burgdorferi. The Lyme spirochete can cause infection of multiple organs and produce a wide range of symptoms. Case reports in the medical literature document the protean manifestations of Lyme disease, and familiarity with its varied presentations is key to recognizing disseminated disease. RHS Comments: We have highlighted “with its varied presentations”. One confusing piece of Lyme disease is how varied the symptoms can be from strain to strain and patient to patient. 3. Fewer than 50% of patients with Lyme disease recall a tick bite. In some studies this number is as low as 15% in culture-proven infection with the Lyme spirochete. 4. Fewer than 50% of patients with Lyme disease recall any rash. Although the erythema migrans (EM) or “bull’s-eye” rash is considered classic, it is not the most common dermatologic manifestation of early-localized Lyme infection. Atypical forms of this rash are seen far more commonly. It is important to know that the EM rash is pathognomonic of Lyme disease and requires no further verification prior to starting an appropriate course of antibiotic therapy. RHS Comments: The clearest presentation of Lyme is when a patient is in the woods, then gets sick and develops a bull’s-eye rash. Unfortunately while this presentation is clear, it only happens at most 50% of the time. Most of our patients cannot recall an acute infection or having the rash. 5. The Centers For Disease Control And Prevention (CDC) surveillance criteria for Lyme disease were devised to track a narrow band of cases for epidemiologic purposes. As stated on the CDC website, the surveillance criteria were never intended to be used as diagnostic criteria, nor were they meant to define the entire scope of Lyme disease. RHS Comments: Welcome to the heart of the controversy! The CDC standard is first to run an ELISA then if that is positive follow up with a Western Blot. We do not do this at RHS initially, but some patients request that we follow up with this testing for documentation purposes. For reference you may read the CDC’s perspective here https://www.cdc.gov/lyme/faq/index.html . The short version is if you reach CDC diagnostic criteria for Lyme you definitely have it. 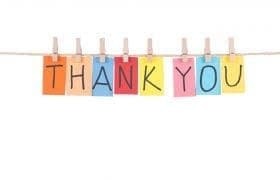 However, if you are negative there is a high chance you could STILL have Lyme and the testing missed you. Bummer for you. We’ll talk more about how RHS recommends testing later on. 6. The Elisa screening test is unreliable. The test misses 35% of culture proven Lyme disease (only 65% sensitivity) and is unacceptable as the first step of a two-step screening protocol. By definition, a screening test should have at least 95% sensitivity. Figure 2: This what an Elisa test looks like. It uses Immunoglobulins hooked onto a chemical color change to indicate a positive test. RHS Comments: Once again the initial “first step” test from the CDC is 65% accurate…and studies argue once you have had the infection longer than 3 months it may even be less accurate. 7. Of patients with acute culture-proven Lyme disease, 20–30% remain seronegative on serial western blot sampling. Antibody titers also appear to decline over time; thus while the western blot may remain positive for months, it may not always be sensitive enough to detect chronic infection with the Lyme spirochete. For “epidemiological purposes” the CDC eliminated from the western blot analysis the reading of bands 31 and 34. These bands are so specific to Borrelia Burgdorferi that they were chosen for vaccine development. Since a vaccine for Lyme disease is currently unavailable, however, a positive 31 or 34 band is highly indicative of Borrelia Burgdorferi exposure. Yet these bands are not reported in commercial Lyme tests. 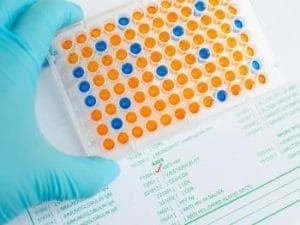 RHS Comments: The “2nd step” test from the CDC is the western blot and it is falsely negative 20-30% of the time in known Lyme disease cases. This is a huge problem! This leads to patients thinking they have been tested for Lyme disease and it has been ruled out when in reality they’ve just been missed. Thinking you already “know” you don’t have Lyme is extremely dangerous. 8. There are 5 subspecies of Borrelia Burgdorferi, over 100 strains in the USA, and 300 strains worldwide. This diversity is thought to contribute to the antigenic variability of the spirochete and its ability to evade the immune system and antibiotic therapy, leading to chronic infection. RHS Comments: This is a HUGE point! This was why we changed the way we test for Lyme disease as a doctor practicing in Minnesota. There are many different species of Borrelia besides Burgdorferi. 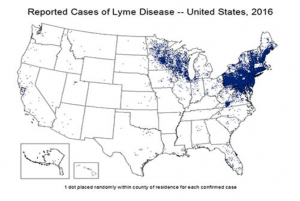 Most of the Lyme and co-infection research is surrounded around the species found most commonly in New England. This leaves patients in Minnesota and Wisconsin with less reliable tests because the main thrust of the research is towards strains in other places of the country. RHS Comments: Because CD-57 does not test directly for Lyme, but rather looks at the health of the patient’s immune system, this test bypasses all the problems of testing for the wrong species in Minnesota. We strongly advocate the value of this test in addition to a Western Blot. This test is a reliable way to find Lyme in patients from Minnesota AND looking forward, is also a great marker for monitoring a patient as they get better. It is specifically implicated in patients when Lyme disease has caused neurological complications. As a sneak peak, our main goal in helping a patient with Lyme is not focusing on the elimination of Lyme and co-infections but rather on rebuilding the robustness of the patient’s immune system so they can fight off anything (including Lyme) that comes their way. Much more on this later. 9. Testing for Babesia, Anaplasma, Ehrlichia and Bartonella (other tick-transmitted organisms) should be performed.The presence of co-infection with these organisms points to probable infection with the Lyme spirochete as well. If these co-infections are left untreated, their continued presence increases morbidity and prevents successful treatment of Lyme disease. RHS Comments: This is a discussion we have with every patient we suspect Lyme disease in. Depending on their unique combination of co-infections symptoms and severity can differ. Unfortunately, most of the testing challenges with Lyme can apply to these other co-infections as well so testing can be difficult in some cases. At the ILADS International Conference in 2018 Dr. Warren spoke to several other Lyme literate practitioners to see what they were doing in this area. Because Minnesota is the #1 state in the country for Anaplasma Dr. Warren prefers testing for this specifically whenever economically feasible for the patient to do so. Also there was some terrific research presented on how Powassan virus is another co-infection specifically in about 17% of Lyme cases in Minnesota and Wisconsin. While this may apply in other geographic regions Dr. Warren places a greater value on research coming directly out of Wisconsin and Minnesota population groups for the majority of his Lyme patients. 10. There has never been a study demonstrating that 30 days of antibiotic treatment cures chronic Lyme disease. However there is a plethora of documentation in the US and European medical literature demonstrating by histology and culture techniques that short courses of antibiotic treatment fail to eradicate the Lyme spirochete. Short treatment courses have resulted in upwards of a 40% relapse rate, especially if treatment is delayed. RHS Comments: ILADS generally recommends long-term rotating antibiotic therapy to fight Lyme disease. We will go through why we feel there is a better solution than this for most patients. In this point they are arguing that the “standard medical treatment” of 30 days on antibiotics (or even sometimes 10 days) is not a sufficient treatment for some patients. We agree with this and will show how we approach helping patients in another hand out. The 30 days dose works well in ACUTE Lyme, but most medical professional Dr. Warren surveyed at the ILADS conference used antibiotics or anti-Lyme herbs for 6-18 months in their treatment of patients suffering from chronic Lyme. 11. Like Syphilis in the 19th century, Lyme disease has been called the great imitator and should be considered in the differential diagnosis of rheumatologic and neurological conditions, as well as Chronic Fatigue Syndrome, Fibromyalgia, Somatization Disorder and any difficult-to-diagnose multi-system illness. 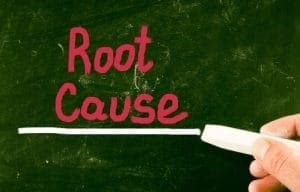 RHS Comments: Lyme disease has been a growing part of RHS for 3 years now as we have discovered how many various fatigue, chronic pain, and neurological symptoms have Lyme as a root cause driving factor. The CD57 test has allowed us to find this as the source of many patient’s symptoms and help them recover their health and go on living their lives to the fullest. Keep up the optimism and we’ll go through how we help patients in the next hand outs! Want to learn more about Lyme Disease? Part 2 of this blog is available now!